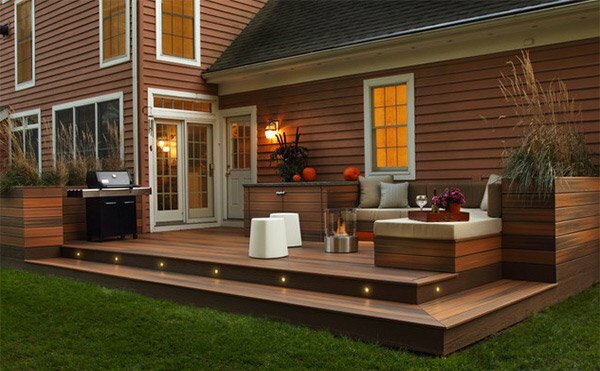 The outdoors of our home cannot merely be left out when we speak of design. That is why landscaping is being applied to it in order to make them appear beautiful. Also, it would be nice to come home with a lovely landscape that meets you. 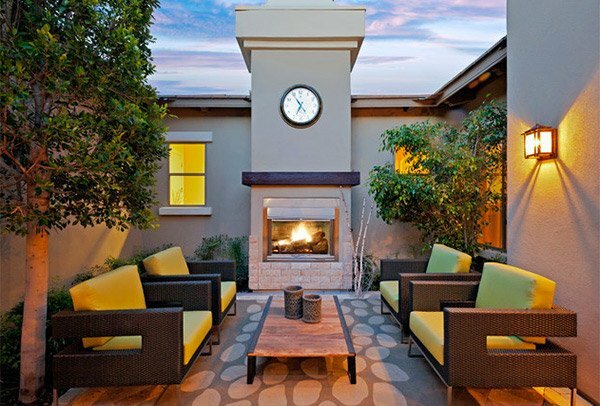 One way of making good use of your outdoor area is by having a patio. 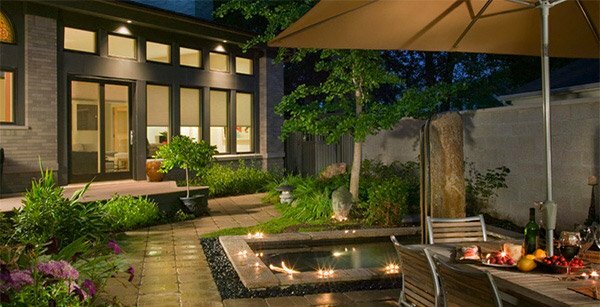 Patio is an outdoor space where one can use for dining, recreation and other activities that adjoins a residence. Commonly, a patio is made of stones or paving slab of concrete but these days, it can also be made from timber to give it a modern and contemporary look. Patio gardens are surrounded by plants and other landscaping features. 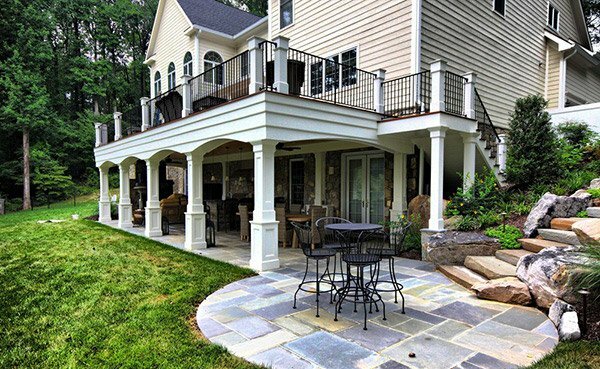 We will be giving you ideas on what you can do with your home’s patio through some pictures below. Scroll down and take a look at some patio gardens we have collated for you. 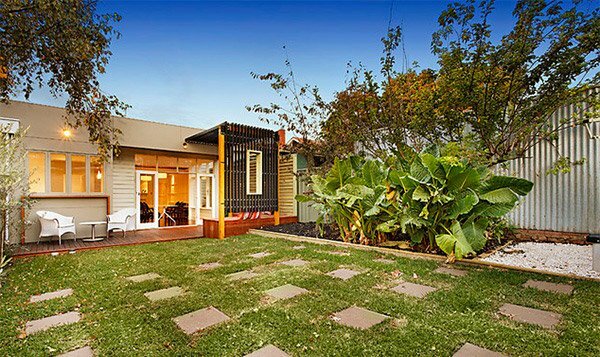 A small space was made beautiful with the use of a variety of material like pavers, timber. A rusted feature wall was also added to make it look more stunning. The pavers were arranged artistically giving this outdoor patio a rare kind of beauty. This even looked lovelier with the plants that surrounded it. 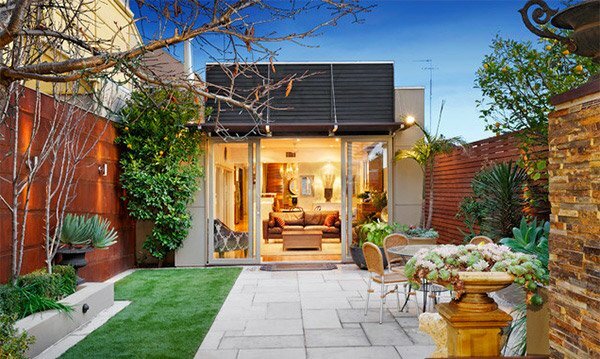 This one has a secret garden feeling which is what the homeowners wanted to achieve. With climbing roses, hydrangeas and lilies around the area – the space became a relaxing secret hideaway. This area is not just for the adults to relax but also for the kids to play. 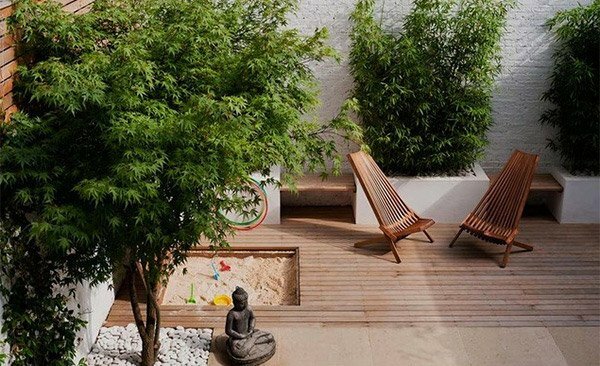 Notice the box of sand where for the kids and also the addition of some elements to add a Zen feel. 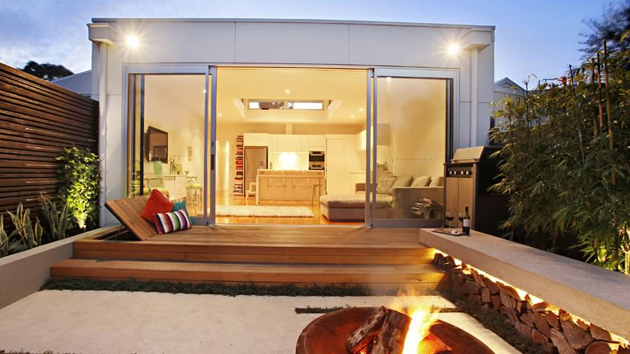 The rear area of a 100 years old home was made beautiful with this contemporary patio and grassed area. Well, it doesn’t look 100 years old after all! 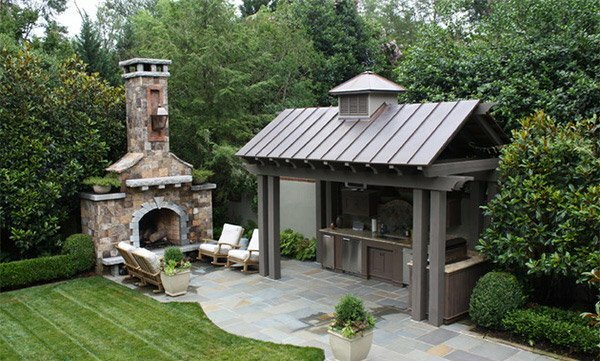 Since the space is big enough, it accommodated an outdoor kitchen, patio and fireplace. This garden has subtle Asian influence with water features and a seating area which can be the perfect place for an outdoor date. 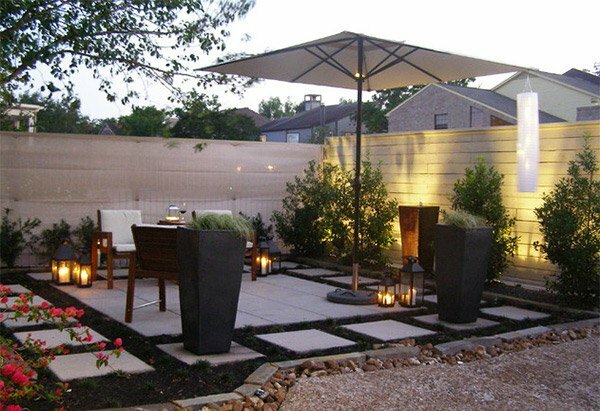 A walled garden that seems like to have everything you want from a patio to a relaxing spa. This space is just stunning! One look at it seems like to invite you take your seat and get comfortable. 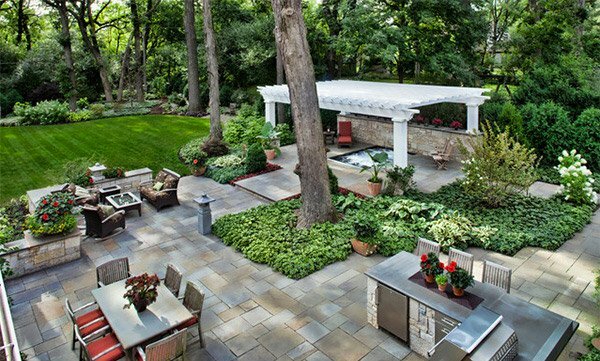 This is one patio garden anyone would like to have! 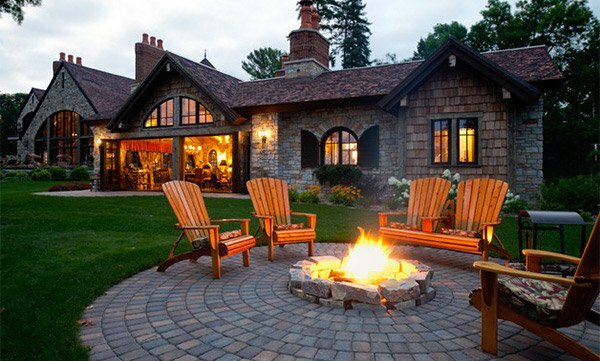 A traditional home deserves a traditional patio! Check out the stones it used and the seating area which just fitted to this outdoor space. A fascinating modern patio raised on timber. The furniture it used and the lights in it are just lovely! Cedar shake and stone exterior with hand-hewn, reclaimed oak timber accents were used for this area in order to maintain a classic and aged feel. 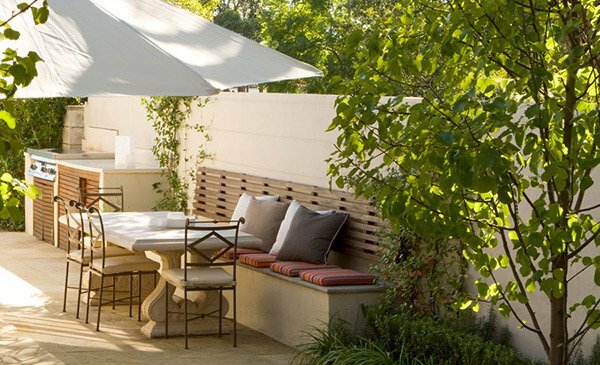 An outdoor area as well designed as this certainly makes one feel like going at home anytime he wants to relax. Brownish cement mix is one of the features here that looked intriguing and of course, the patio area that has lovely lights in candles. Another modern patio that provides a lovely seating area. The walls with stones create a great focal point for this garden. Well, we are sure that the above designs have given you enough ideas on what a patio can look like. You can even think now on how you can add one for your home. 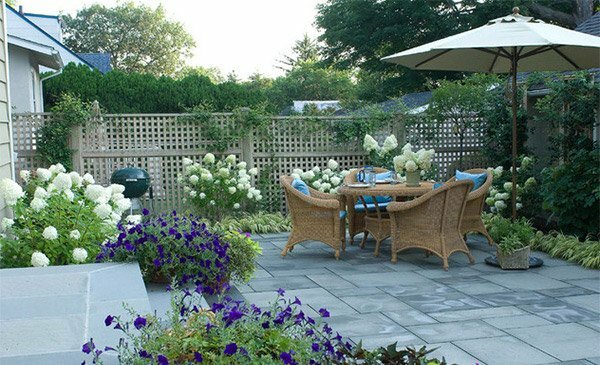 Aside from a patio, a courtyard garden or maybe a gazebo can also look good for your yard. 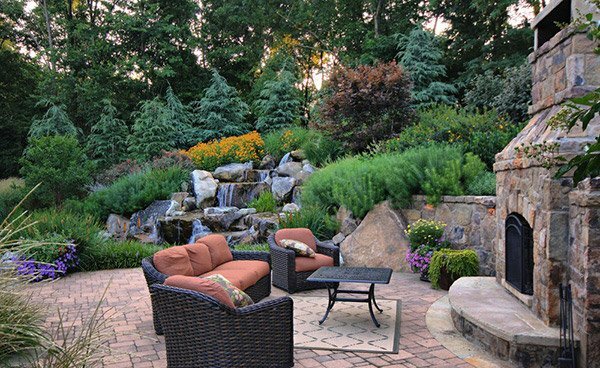 Just be sure to look into the available space you have so you can have a smart choice on what to place in your garden and how you can landscape it to make it look beautiful and inviting.